Read on for a refresher on addressing and partitioning and my current understanding of uses of At the Level for ordinal table calculations such as INDEX() and SIZE(). Part 2 will cover LOOKUP(), and Part 3 will cover WINDOW_SUM(), RUNNING_SUM(), and R scripts. If you’re new to table calcs, read through at least the Beginning set of links in Want to Learn Table Calculations. Thanks to Alex Kerin, Richard Leeke, Dimitri Blyumin, Joe Mako, and Ross Bunker for their Tableau forum posts that have informed what you’re about to read. The addressing is the default Compute Using of Table (Down), which for this pill arrangement means the addressing is on Department and Category, so Tableau is computing the result for each combination of Department and Category. What if I want to generate a set of results for each Year & Region? This shows all the dimensions in the view, with the dimensions used for partitioning on the left and addressing aka Compute Using on the right. The order of the dimensions for addressing is important, because that determines how those dimensions are going to be sorted for the table calculation, and also affects At the Level. Ok, so that’s the super-quick refresher on Addressing and Partitioning, now to begin our exploration of At the Level. Ordinal calculations such as INDEX(), FIRST(), LAST(), SIZE(), LOOKUP(), and the RANK_ functions. WINDOW_, RUNNING_, and the R SCRIPT_ functions all aggregate measures along the addresses of each partition. TOTAL() is an aggregation of the inner measure at a different level of detail. At the Level has no effect on TOTAL(). This post covers some of the ordinal calcs, and will be continued in Part 2 for LOOKUP. Part 3 will cover the WINDOW_, RUNNING_, and R scripts. This is because there’s only one dimension in the view. At the Level is only available when there are two or more addressing dimensions. What appears in this menu are only the addressing dimensions and the “Deepest” option. “Deepest” sets At the Level to be the bottom-most dimension in the menu, and has no effect on the results of the computation, so if I don’t need At the Level then I leave it at Deepest. I’ll regularly see workbooks where someone is asking a table calc question and has At the Level set to the bottom-most dimension. It’s a good sign that the questioner is hunting and pecking to get a table calculation result, and/or was taught by someone (or a series of someones) who hunted and pecked until they found something that returned desired results, without really understanding what Tableau is doing. Please know that I don’t mean this as criticism at all, the fact is that the official Tableau Desktop documentation (as of 8.1) only mentions At the Level once in passing and never describes At the Level’s behavior, so it’s been up to us as users to find ways to get the job done and then pass them on to other users. We’re each working with the best information we have and the tools at hand, like Grandma did. And I wouldn’t be where I am without the support of other users as well as a many Tableau staff who have answered my support queries, my goal for posts like this is to expand the available knowledge. If we specify a dimension for At the Level and then sometime later add other dimensions to the addressing below the chosen At the Level dimension, Tableau will leave At the Level on the chosen dimension. I’ve never used this option myself, though that’s more due to how I put together views: I try to get all the dimensions in the view (on Rows, Columns, Pages, and the Marks Card) first, and add all the dimensions for addressing, and only then set At the Level. Furniture/Bookcases is the first address and gets an Index of 1. Furniture/Chairs & Chairmats is the next address and has the same value of Department, so the Index is not incremented and remains 1. Furniture/Office Furnishings still has the same value of Department, so the Index is still 1. Office/Supplies Applicances has a new value of Department, so the Index is incremented to 2. Office Supplies/Binders and Binder Accessories has the same value of Department, so the Index is not incremented and remains 2. The SIZE() calc is only incrementing on the Department, and there are 3 Departments, so every address gets a value of 3. The FIRST() calc again is only incrementing on the Department, so all the values of FIRST() for Furniture have the same 0 result, then all the values for Office Supplies have the same -1 result, and so on. Each distinct combination of values of the addressing dimension used for At the Level and all addressing dimension(s) above the At the Level dimension increment ordinal table calculations. Addressing dimension(s) below the dimension used for At the Level do not increment ordinal table calculations, and instead return the result of the prior address aka row in the partition for each of those addresses. The default setting of “Deepest” or choosing the bottom-most addressing dimension tells Tableau to increment an ordinal table calc on each address, when we set the At the Level dimension to be a higher addressing dimension then we’re separating the incrementing of the ordinal calcs from the addressing. Based on these settings, Tableau now increments the Index for each and every new combination of Year and Department, while repeating the values for each Category within those dimensions. You may ask, when might we want to use At the Level for an ordinal calculation? To explain this, I need to define granularity: The granularity of the view is the distinct combination of values of dimension(s) on Pages, Rows, Columns, and a given Marks Card. The most common use case for At the Level that I’ve seen is when we want the table calculation to increment at a coarser granularity than the granularity of the view. In the example above with Department and Category in the view, we were incrementing the Index on the coarser granularity of Department. There is no data for Jumbo Box/Office Supplies, so the Index for Office Supplies is skipping that combination and continuing on, so for Large Box and on down there are two values of the Index for each. If you just have a crosstab with Department on Columns and Container on Rows, and have the Index calc with a Compute Using of set to Department, you’ll see a value for Jumbo/Box Office Supplies padded in due to domain completion. This is one of the cases where building table calcs as a crosstab shows results that we don’t expect. To avoid unwanted domain completion, the trick is to put ATTR(Domain) on Columns, and the Domain dimension on the Level of Detail Shelf. In a sense, At the Level lets us “ignore” the Department dimension and only increment the Index on Container. However, Tableau is still computing a result for each Department in each Container. I’ve come to think that a better description is that At the Level gives us control over what addressing dimension(s) we want the ordinal calc to incremement on. Here’s another example drawn from the Tableau forums. In this case the view is showing 10 customers, but 12 marks because there are multiple Customer Segments for some customers. The goal is to be able to say in the Title that there are 10 customers displayed (or however many customers are selected). Since SIZE() counts the number of addresses in the partition, and Customer Name is a dimension, it would seem to be the perfect calc to count the number of customers. We can also use WINDOW_MAX(INDEX()) to duplicate what SIZE() does, but SIZE() does it in one function. However, when we put SIZE() into a view, without using At the Level there’s no combination of addressing dimensions that will get us to 10. We’ll get 12, 4, 3, etc. The largest rank is the number of Customer Names, so we can take the calc and create a fully optimized calc with PREVIOUS_VALUE(WINDOW_MAX(RANK_DENSE(MIN([Customer Name])))). The WINDOW_MAX gets the largest rank, and the PREVIOUS_VALUE() is an optimization so the calc is only performed once for each partition. There’s a quirk with At the Level where if the dimension used for At the Level (or any addressing dimensions above it) are on the Level of Detail Shelf while other addressing dimensions are on Rows, Columns, and/or Pages, Tableau triggers domain completion for those addressing dimensions. This is avoided by the Rank calc since it doesn’t need At the Level at all. Another to prevent unwanted domain completion is to put all your addressing dimensions on the Level of Detail Shelf, and use discrete measures such as ATTR(myAddressingDimension) to generate the proper headers. The clue for me when I might want to use At the Level for an ordinal calc is when some aspect of the view requires a finer granularity, while I want my ordinal calc to “ignore” or skip over that finer granularity to increment at a coarser granularity. 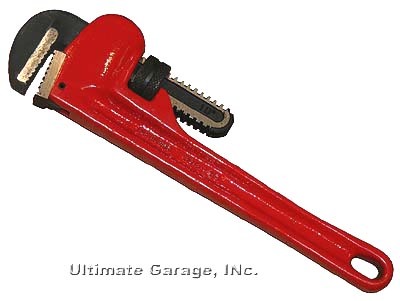 For me, At the Level is kind of like the pipe wrench that sits in the bottom of my toolbox: not needed and unnecessary until it is exactly the right tool for the job. Part 2 of this series will cover some interesting aspects of using LOOKUP, which adds another wrinkle to how At the Level works. Part 3 will go over WINDOW_, RUNNING_, and R scripts. This entry was posted in At the Level, Tips and Techniques and tagged addressing, at the level, dimensions, partitioning, table calculations on June 14, 2014 by Jonathan Drummey. Thank you! This is so informative. I was looking something similar in Tableau as against the Level metric in MicroStrategy. A really great thorough and easy to follow post! Thanks so much Jonathan! Thank you very much for this (and your many other contributions)! I continue to wrestle with Tab calcs. I am finally getting around to reviewing this in its entirety a second time, and I think it has begun to click in the context of Ordinal Calcs. Thank you, Jonathan, for taking the time to explore this in more depth! I’m glad it was useful to you! – PREVIOUS_VALUE() is an optimization, so the calc is only performed once for each partition. – unwanted domain completion is likely what’s been completely confusing me when my SIZE() calcs aren’t working as expected, At The Level & all. Hi Jonathan, a very insightful article and thanks a lot for your efforts to writing it. I found the examples really useful to think through how to really apply this. I came to this article after watching Joe Mako’s video on data densification that was on Matthew Lutton’s blog. Reading this has made the concepts that Joe explained even more clear in my mind. 1. Any idea of when you are planning to write the part 2 and 3 as I would like to understand the effect of At the level on other calculations? Would you mind giving an example of where this matter even when the sorting is set to automatic. I was wondering about the order of the addressing for a while when the sorting is not really to set any specific measure and your post triggered my curiosity even more. Why would you consider Pages to determine the granularity? I am asking this to understand the Pages shelf better. The way I have understood Pages shelf so far is that it is like a Filter shelf as it helps us to take one value at a time and create a page (like applying one value in a Filter at a time). My thought was that Filters will not have any effect on the table calc (as it really goes on the Where clause in SQL). So should be the case with Pages, I thought – can you please let me know where I went wrong in connecting the dots? 1) Somewhere between a few and several months, I’m focused on book writing at the moment. 2) Using Superstore, create a view with Department & Category on Rows (in that order), and an INDEX() table calculation on the Text Shelf with an Advanced addressing on Department then Category, using Automatic sort. You’ll see the Index go from 1-17 starting with the categories in Furniture, then Office Supplies, and so on. Now go back to the Index calc and change the addressing to Category, Department. The Index will change results and be based on the alphanumeric sort of Category. (If you swap the Department and Category pills on Rows so Category is the left-most pill that will be visible). 3) I’m glad this makes sense to you! I learned that particular technique from Joe, of the many things I’ve learned from him it’s one of the most valuable. 4) Pages *looks* like a filter in terms of the visual effect on the view, however under the hood Tableau isn’t issuing any additional queries to the data source, it’s only adding whatever pill(s) are on the Pages shelf into the query/ies it would normally make. So if you have a dimension on the Pages Shelf, that’s added to the GROUP BY of the SQL, if you have a regular aggregate measure then it’s computed as part of an aggregate query, etc. Another point is that, dimensions on the Pages Shelf can be triggers for densification just like Rows or Columns. The visual effect of the Pages Shelf is processed quite late in Tableau’s pipeline, after filters are applied and other calculations are completed (including table calculation filters), so it’s really acting more like a Hide than a filter. One way to get a sense of this in action using Superstore is to put Customer Name on Rows and Sales on Columns, then also put Customer Name on the Pages Shelf. You’ll see that Tableau is still rendering all the headers of the ~3000 customers, even though it changes which particular Sales bar it’s showing. There’s a single query issued at the very beginning that is effectively SELECT [Customer Name], SUM([Sales]) FROM Superstore, everything else is all happening in memory, and that’s what enables Tableau to also do the animation on the Pages Shelf. Thank you very much Jonathan for this post. I finally understand “At the level”. You are a great teacher. Hi Jonathan, The way you write and explain any article is amazing. I notice that you write a last of calculations using “First” and “Last”. Can you explain or write an article on what exactly would “First = 0” and “First == 0” would do? I’d be glad to add that to my list of future topics! The short answer is that there are three major levels of detail that we work with in Tableau: The grain of the data, the viz Level of Detail based on the dimensions in the view, and finally what I call the “display level of detail” or displayLOD that is the marks that we want to see. There are situations where in order to get the calculations right the vizLOD needs to be at a finer grain than what we need for the displayLOD. This means that we need to deal with that finer grain in our calculations and filters. FIRST(), LAST(), and INDEX() are table calculations which work at different levels of detail and can identify the first, last, or Nth marks in a given partition, and because they are table calculations we can add them to the Filters shelf to filter out that finer grain without affecting the results of calculations.